The Holy Qur’an, Tradition and Ijtihad are the three main sources of Islamic law which govern and regulate all aspects of a Muslim’s public and private life. These laws relate to religious worship, prohibitions, and all contracts and obligations that arise in social life such as inheritance, marriage, divorce, punishments, conduct of war and the administration of the state. The science of these religious laws is called Fiqah and the expert in this field such as a jurist is called a faqih (plural: fuqaha). We read that Ijtihad, or the exercise of judgement, is a valid source of Islamic laws in areas where the Holy Qur’an and the Traditions are not explicit. But the exercise of this independent judgement can only be left in the hands of proper scholars of the Holy Qur’an and the Tradition. Although a number of other jurists also became popular during their times, only the above four are now recognised by the vast majority of Sunni Muslims. These four great jurists and theologians tried to systemise the Islamic law into a comprehensive rational system which covered all possible legal situations. The four prominent schools of Islamic law are named after their founders and are called the Hanafiyya, the Malikiyya, the Shafiyya, and the Hanbaliyya schools of religious law. Most Muslims regard these four schools as equally valid interpretations of the religious law of Islam. These schools are in good agreement on all essential aspects of the religion of Islam. They all acknowledge the authority of the Holy Qur’an and the Traditions as the ultimate source of the Islamic law. Only in areas and situations where these two sources are silent, do the four schools use their independent reasoning in which they may differ with each other. The earliest school formed was by Imam Abu Hanifa (699-767 A.D.) of Kufa. It generally reflects the views of the jurists of Iraq. Abu Hanifa did not compose or write any books on law himself, but his numerous discussions and opinions as recorded by his disciples, form the basis of this school. As a theologian and a religious lawyer, Abu Hanifa exercised considerable influence in his time. His legal thought is very consistent, uses high degree of reasoning, avoids extremes, and lays great emphasis on the ideas of the Muslim community. The Ahmadi Muslims generally follow the Hanafiyya school of law. Other areas in which this school has a following include Turkey, the countries of the Fertile Crescent, Lower Egypt and India. The next school of law in order of time was the one founded by Imam Malik bin Anas (d. 795 A.D.) of Medinah and reflects the views and practises associated with that city. Imam Malik served as a judge in Medinah and compiled all his decisions in a book form called al-Muwatta (the Levelled Path). Like the jurists of Iraq, Imam Malik preferred to depend more on the Traditions associated with the Companions of the Holy Prophet. The adherents of this school are predominantly in North African countries. The third school was founded by Imam al-Shafi (d. 820 A.D.) who was a disciple of Imam Malik. Imam Shafi placed great importance on the Traditions of the Holy Prophet Muhammad, may peace and blessings of Allah be upon him, and explicitly formulated the rules for establishing the Islamic law. He was a great thinker, had an unusual grasp of principles and a clear understanding of the judicial problems. This school is strong in Lower Egypt, Syria, India and Indonesia. This school was founded by Imam Ahmad bin Hanbal (d. 855 A.D.) of Baghdad. Imam Hanbal did not establish a separate school himself; this was rather done by his disciples and followers. The Hanbaliyya was the most conservative of the four schools. Its rigidity and intolerance eventually caused its decline over the years. In the eighteenth century, however, this school was revived with the rise of Wahhabism and the growing influence of the House of Sa’ud. Today, Hanbaliyya school is followed only in Saudi Arabia. The Hanbalis insist on the literal injunctions of the Holy Qur’an and the Hadith and are very strict in the observance of religious duties. Although the Muslims generally apply the Islamic law according to the principles and details laid down by the four ancient jurists, legal situations keep arising from time to time for which there are no clear answers in these early schools of law. To cope with this changing aspect of Islamic society, particularly in the light of new facts, specialists in the field of Islamic law are asked to give their decisions using the traditional tools of legal science. Such a decision is called a fatwa and the religious scholar who gives this decision is called a mufti. 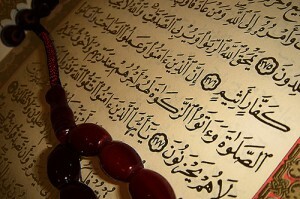 The name of Muhammad is mentioned only four times in the Holy Qur’an! You must be logged in to post your question.